Religion is increasingly playing a more and more important role in inter-country relation in the globalized world. Recent conflicts have gradually started to damage the world order. Religion is a very emotional concept as it is directly related to the spirit of people. Unfortunately, some forces are trying to describe religion as an aggression and chaos. However, if we look at the main essence of monotheistic religions, we can easily see that terrorism and sedition (fitna) is condemned by all religions. Islam is a religion of peace, friendship, fraternity, and humanism. The principal duty of religions is to save mankind and make people happy. Therefore it is useful to look over the situation in Azerbaijan. 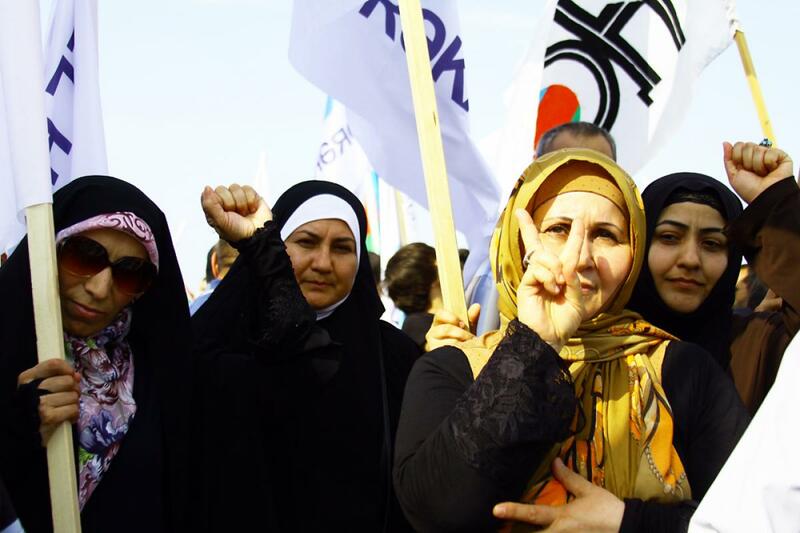 Ninety percent of the population of Azerbaijan situated on the Southern Caucasus, at the west of the Caspian Sea, consists of Muslims. 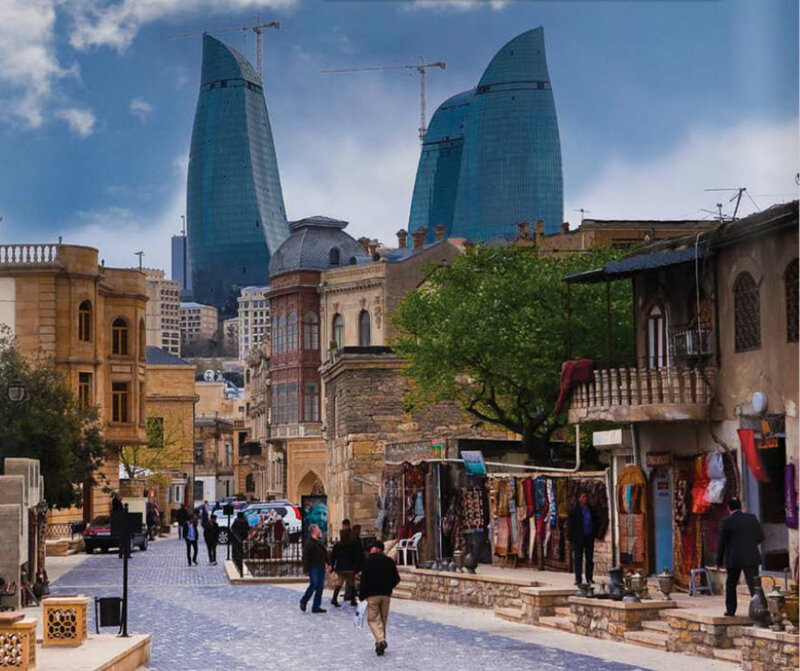 Azerbaijan gained its independence from the Soviet Union in 1991 and it is a secular country. It is a Muslim-majority country and people of different religions and creeds live in peaceful coexistence. You can see the places of worship of three different monotheistic religions in Baku which is located 400 meters apart from each other. Different cultures and civilizations exist in Azerbaijan. There has never been any discrimination or confrontation on religious and ethnic grounds in this country. This is a clear example of the country’s spirituality and humanist values. Members of different religions in Azerbaijan make up the country. Representatives of each ethnic minority in Azerbaijan is allowed to practice their traditions. 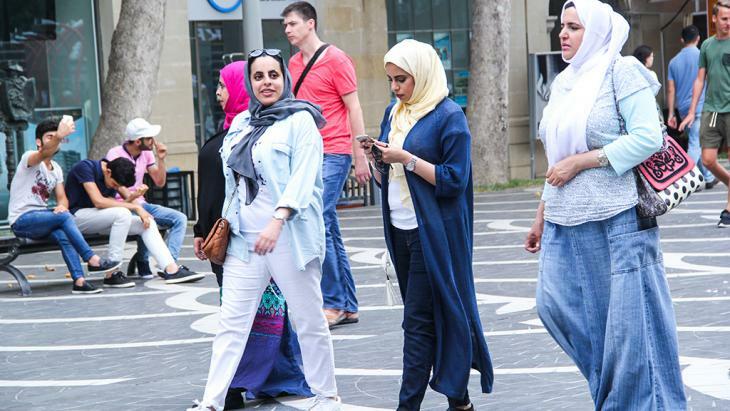 It is no coincidence that in 2009, with the support of Islamic Educational, Scientific, and Cultural Organization (ISESCO), Baku was declared as the capital of Islamic culture. Preserving the multiculturalism of a country and promoting the value of tolerance are the key pillars of stability in every society and state. In recent times, the stability observed in our country is proof that Azerbaijan is the cradle of the highest values as it is tolerant and preserves multicultural traditions. This is despite the religious-ethnic and social-economic conflicts civil wars around the world. These are the very values that many countries want to emulate but fail to achieve. If we look at the geography of international events held in the field of inter-cultural and inter-civilizational dialogue in recent years, we can witness that the vast majority of these initiatives were implemented by Azerbaijan. The main aim of these events is to strengthen dialogue and confidence between the Islamic world and Western countries, as well as among the various nations. It is also done to find common solutions in order to eradicate religious radicalism and violent extremism. The rights of each person in Azerbaijan are protected by law regardless of their race, religion and national affiliation. Our people consider and accept tolerance not only as a law but also as a spiritual value. If it was not for this, members of different religions and ethnic groups could not find shelter in different historical periods. Just look at the churches and synagogues in Azerbaijan. The country declared 2016 the “Year of Multiculturalism” and 2017 as the “Year of Islamic Solidarity” thereby translating these values into action and policy. There were only one religious community and 17 mosques during the collapse of the Soviet Union but nowadays the number is more than 2200. During the recent ten years, 140 mosques have been built and more than 80 mosques renovated. The mosques were built or restored with the use of public funds. At the same time, 13 churches and 7 synagogues currently operate in our country nowadays. Other religions are also given special attention. The concept of respecting others’ opinions in Islam as well as the values of compassion and love are the pinnacles of a civilized culture. In this regard, Azerbaijan has always remained loyal to these principles and has ensured the peaceful co-existence of members of other religions along with Muslims for centuries. As a result of the Armenian-Azerbaijani Nagorno-Karabakh conflict, 20 percent of Azerbaijani territory was occupied. 1 million people became refugees and internally displaced, 613 Azerbaijanis were brutally murdered in Khojaly and national and historical monuments were demolished. In comparison, if you visit Baku, you can see churches, synagogues, and even the Armenian-Gregorian church, along with mosques sitting side by side. However, unfortunately, it is impossible to come across even one mosque in the occupied territories of Azerbaijan, as well as the historical lands where Azerbaijanians lived until 1988 in the present-day state of Armenia. All of them were destroyed. Nevertheless, if you go to the Armenian-Gregorian Church situated in the middle of Baku, you can witness that everything is protected. The Catholicos and high-ranking Armenian clerics accompanying Karekin II, Catholicos of All Armenians visited a 19th-century Armenian church in Baku in 2010 and he saw everything with his own eyes. This is an indication of the great tolerance of the Azerbaijani people. The State Committee on Religious Associations of the Republic of Azerbaijan plays an important role in formulating exemplary state-religion relations in the country. The main objectives of the State Committee are to fight against religious radicalism and promote the principles of religious tolerance. Azerbaijan demonstrated the best examples of some separatist forces on how to implement a mutual peace and good cooperation policy with the countries. Our country, which is famous for its export of oil, has already become a peace square by exporting multiculturalism, as well as the value of tolerance, to the world. It is, therefore, no coincidence that today Azerbaijan is seeing a good flow of tourists from abroad. Azerbaijan develops cooperation with the number of Eastern and Western countries, as well as international organizations and they are closely involved in a number of processes. The balanced foreign policy of Azerbaijan is directed to establish good cooperation either with neighboring countries or Western and Eastern countries. The internal and external policy of our country is based on peace and friendship. Azerbaijan and Pakistan are brotherly Muslim countries. We have a close relationship and common points of historical, religious and political nature. 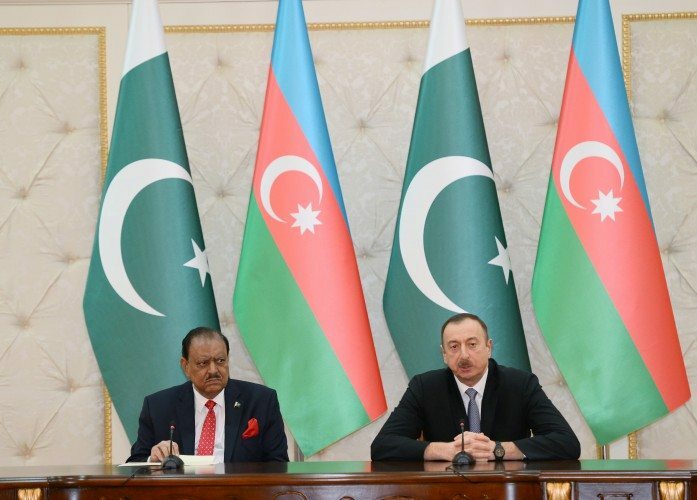 Pakistan recognized the independence of Azerbaijan in 1991 (the second country after Turkey) and later in 1992, the two countries established diplomatic relations. Pakistan was one of the first countries to open its embassy in Baku, the capital of Azerbaijan. Both countries have supported each other in every international forum and event. The two countries also share common views on major regional and international issues and cooperate closely in regional and multilateral forums, including the UN, the Organisation of Islamic Cooperation (OIC) and the ECO. 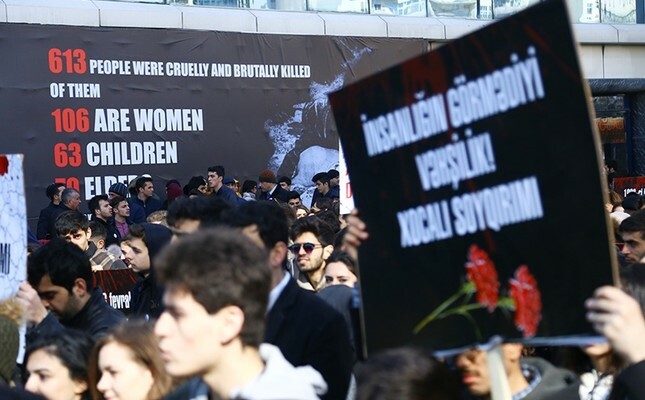 Another crucial point between the two countries was the recognition by the Senate Committee on Foreign Relations of Pakistan on February 1, 2012, of the massacre in the Azerbaijani town of Khojaly by the Armenians. Pakistan is one of three nations which absolutely recognizes this tragedy as a genocide. Pakistan and the people of Pakistan can well understand and feel the pain of Azerbaijani people and sufferings of people of Nagorno-Karabakh as we are facing similar bloodshed in Kashmir since the time of our inception in 1947. The relations are not only reflected on several high-level visits, as there are also several joint groups including the parliamentary friendship group, the joint economic commission, the joint inter-ministerial commission and other groups established to enhance partnership. These groups meet on a regular basis for the follow up of what can be done to improve the connectivity and activities for further enhanced partnerships. There are also several educational opportunities for students and faculty members that began recently when few of the young ones joined the faculties of ADA University and other universities of Azerbaijan. It is phenomenal and important to note that the First Lady of Azerbaijan, President of Heydar Aliyev Foundation; Goodwill Ambassador of UNESCO and ISESCO, Member of Parliament, Mrs. MehribanAliyeva is one of those with influence and is capable to capture the hearts and minds of people. The association of Heydar Aliyev Foundation with Pakistan started soon after the earthquake of 2005 when MehribanAliyeva took an initiative to construct a new modern school for girls to replace the destroyed one in Muzaffarabad. Keeping in view the trajectory of relations between the two, I hope that the bilateral relations will continue to flourish in time to come.